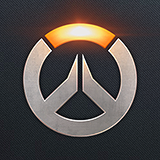 The Overwatch team said they are looking into buffing RoadHog's defensive abilities as balance to his damage nerf. Many posters are reasonably fearful that this will make him even a bigger ult battery than he currently is. I believe it depends on *how* the defensive buff applies. My recommendation is having a 20-30% damage reduction on hog while he is inhaling, like sentry mode Bastion. This will increase his survivability without giving more ult charge to enemies attacking him. If you want to make him a more team oriented hero, a small damage reduction can apply to nearby heroes during this action. This will allow Hog's big body to be used as meat shield and defend teammates, without costing too much in terms of ult charge. Another option is covering his head hitbox while inhaling, which again will reduce effective damage, without costing in ult charge for the enemy team. The very nature of increasing defense results in taking less damage, thus generating less Ult charge. Contrary to popular believe, old Hog took more damage due to having a bigger crit box and thus was feeding more Ult charge. Contrary to popular believe, old Hog took more damage due to having a bigger crit box and thus was feeding more Ult charge. We're actually testing this exact thing right now internally. Currently we have been play testing Roadhog with -50% damage taken while using Take a Breather, and also allowing him to move at full speed while inhaling. These two changes combined certainly make him significantly more difficult to kill, while also allowing Roadhog players to be much more aggressive when trying to find a hook target, knowing they can survive a lot more easily. We plan on throwing this up on the PTR asap (along with some other hero changes) so you guys can play with it as well. Its possible its actually too strong right now but we'll have time to iterate on it. I miss you in this forum Geoff. "Too strong" and roadhog haven't been in the same sentence on these forums since his hook nerf. Geoff, does 'ASAP' mean in 4 months time? Take a Breather making him nano-tough leaves a bad taste in my mouth, especially if he can move while doing it. I thought that heal was intended to make him vulnerable in exchange for being such a fast, huge heal, not make flanking with him almost risk-free. Never-mind it has the same issue Bastion had, where it makes pulse bombing him pointless. Currently we have been play testing Roadhog with -50% damage taken while using Take a Breather, and also allowing him to move at full speed while inhaling. While before I did agree his hook combo and damage was too strong, which muscled out room for my favorite hero to play - Reaper, I do kind of like this idea, can't wait to see it in action. Also, looking forward to some of the other hero changes as well. Hopefully something for Bastion and Torb! I don't think it will be too strong, either. He'll still get blown up immediately after his Breather, and the movement buff will probably encourage careless Hog players to get too far out of position. Already thinking of how to strategize with it. It was supposed to make him vulnerable when he was dangerous. Things have changed. This is the gorgeous level of transparency that I love to see. Thanks Geoff. It sort of worked with Bastion. It at least made him somewhat viable. Well, thats a step in a right direction.. He really should have hitscan on LMB though, it's just useless.